If you find yourself in a long unemployment line, staring at the back of the head of the person in front of you and wondering how things have come to this pass. Take heart, there is a job out there for you. Even in this economy. The June of 2008 US News and World report listed the jobs that older Americans are most likely to find available. I will use this article as a jumping off point in the search for jobs for mature Americans. We will not visit all of the jobs and professions in the article because in our current economic straits, some of the jobs would be untenable. For instance, real estate broker does not seem like a particularly good job to have right now even if it was available. Let’s make a few simplifying assumptions. First, let us stipulate that the elderly worker is willing to move to get a new job and that he is willing to train for a new job if necessary. These assumptions may not be as arbitrary as they seem. If you and a large number of coworkers were laid off, it is less likely that the particular skill that you have is not in demand in the place where you live. A willingness to retrain and a willingness to move virtually doubles your chances of getting a new job. Given that we are talking about an older worker, a long apprenticeship is out of question. Jobs like engineer, doctor, lawyer, and machinist are out unless you already possess those skills. Of the four areas we have decided to look at let’s see which one would be the most fruitful. 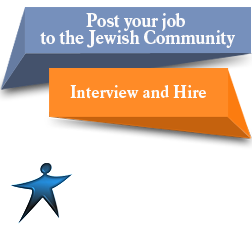 We are going to use one of the large popular job search sites to do our looking. Namely Yahoo’s hotjobs. We are going to simplify our search criteria to make it easier to search and find the most jobs. If you are doing a thorough job search you might want to compare these results with those from the job search sites like Monster and HeadHunter. If you really want to wade through all the jobs in the working universe–and if your skills are not much in use you may have to–I recommend one of the meta search engines such as Indeed, JuJu, or SimplyHired. 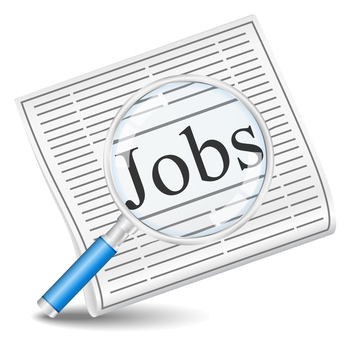 The meta job search engines allow you to search all the little job search sites in one fell swoop. Meanwhile, back at the ranch, what can we learn from our Yahoo hotjobs search? If you want to increase your odds of getting a job nationwide, don’t become a tax preparer. Such advice must be taken with a grain of salt. Obviously as we get nearer to April 15th the demand for tax preparers should increase and the results of the search will change. But if you want a job right now, doing someone’s taxes does not look like the way to go. Advertising yourself as a worker or a guy who knows trucks does not look like the best way to get a job. If you have a resume that says you are a secretary, it seems like you might do better by creating a new resume that talks up your strengths as an administrative assistant. Despite the weak economy, someone somewhere is still hiring retail sales folks. 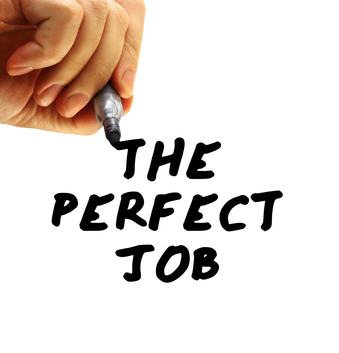 An administrative assistant with retail sales experience should be able to find a job pretty easily. For grins let’s add a few more jobs that we think might be in demand. Even if you are trying to enter a new field, do not look for a job as a trainee. Rather you should look for the entry level jobs. As long as there are employees there must be managers so if you have a management skill that looks to be a good bet for you. Different jobs sites go through different procedures when you actually look for the details on a job and try to apply. On Yahoo, you will sometimes need to click through to the website of an individual company and apply for work there. On the other hand, if you have saved your resume on Yahoo hotjobs, there will likely be some jobs you can apply for while never leaving the Yahoo website. I would advise against the work at home jobs that you find on job search sites. Yes, such jobs exist. I have had two different ones. The problem is that most of the work at home jobs you will see are a scam intended to do one of two things. Either separate you from your money or to infect your computer with viruses or adware. Some of the jobs you want to apply for may require office skills or software experience that you don’t have. Often there are community colleges or two year institutions near you that can quickly and cheaply teach you all you need to know. Some well equipped libraries have Microsoft Office software that you may practice on for free. You should go to a vocational school only as a last resort. They can be expensive. If you do wind up at a vocational school, make sure that it has been in business for a few years. Make sure that it is accredited and licensed to operate in your state. Check for complaints against the institution on the better business bureau web site. See if the vocational school has any job search assistance and talk to former students to see if the assistance was timely and if employers welcomed the certificate that the vocational school offers. 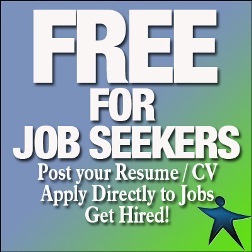 When most people need to find a new job, they start with the online career sites, employment offices or local want ads. It seems obvious to look in the places where people are advertizing for jobs. Yet, studies consistently show networking to be the most effective way to find a job. Networking is the act of working with people you know to help you find the things that you want. Its efficacy is not surprising considering that when done properly, job seekers are making direct contact with hiring managers or people that can lead them to hiring managers. Further more, it provides a way to tap into the hidden job market. The above percentages indicate that 65% of people who are employed found a job that was never publicly advertised. Case studyFor many people, networking still feels like something that will only work for other people. I am proof that’s wrong. While not unique or connected in any special way, with the exception of one position I found by cold calling, I networked my way into every other position as I worked my way up the corporate ladders in multiple industries. Here are some examples of how I worked with the people I knew to find the jobs I wanted. Cast Iron Foundry: Just before graduation, I was talking with my faculty advisor about jobs. He gave me the name of a man at a trade association coincidentally near my home. I visited him on the way home from school. He, in turn, referred me to the Chief Metallurgist at a nearby company that fit exactly with what I wanted to do. They hired me. The job was never advertised. R&D Consortium: A vendor salesman that used to call the company that I worked for went to work for the Consortium. He told me they were looking for engineers with business acumen and put me in touch with the hiring manger. I got the job. The job was not advertised. When I had gone as far as I could in that company, I sent out hundreds of resumes and answered dozens of advertisements to no avail. Finally I found my new job through networking. Life Insurance Agent: I decided to work for myself. I researched companies in the life insurance industry and knew some agents. A personal friend who was also an agent led me to his company where I eventually landed my first position. They had an active recruiting program ongoing and the personal introduction paved the way, even though I had no obvious qualifications. Large Pharmaceutical: Several years later when I decided to change careers again, I networked my way into a local, major pharmaceutical company doing business development. The job was not advertised. Six years later, the company was restructuring to prepare for a spin off the division I was in. I was laid off and networked my way to a job as program manager within the same company. The job was not advertised until after I started only to fulfill HR requirements. Three years later it was time for me to move on. I networked my way to find a manager job in yet another division. This job was advertised and I saw it on the job board, but I thought it was not a good fit. I networked my way into the vice president’s office. She encouraged me to apply and asked me to meet with the hiring manger. Why It WorksI am nothing special, nor is my history with networking. What is special is the power of networking. I have tried responding to ads and sending out hundreds of resumes, but like most people, my carefully worded documents and phone calls fell in to the black holes of human resource departments. Every time it proved to be a huge amount of effort without any payoff. Instead, the solution was talking to people- lots of them. Want more proof? Think about how you have found jobs, or ask your friends about their careers and how they found their jobs. I bet you will find that they knew someone who gave them an “in” or a critical heads-up. This is networking. It may not have been formal, or even intentional, but it was networking at its best. In real life it plays out like this: a company may advertise an open position and receive 1,000 resumes. HR will receive those resumes and, after filtering the resumes based on their criteria, will narrow it down to maybe ten resumes. If the hiring manager gets an email from a trusted contact recommending a friend for the job and attaching a resume, that “friend” just leapfrogged to the front of the pack. The other ten candidates are complete unknowns beyond their resumes, but the friend comes with a trusted recommendation. 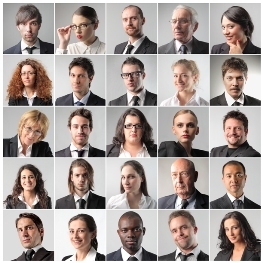 The hiring manager eliminates much of the risk involved in bringing in a new employee. In order to be successful in your job search, you need to find those contacts that can get you in front of the hiring managers. Networking makes you a known quantity, allowing you to levitate to the top of a massive stack. ConclusionThere are many ways to find a job, but studies prove that networking is the most effective way to find a job. The experience of my own career over 30 years made a believer out of me. Phil Roth has made a career of teaching people how to find their dream jobs through networking. Through his individual coaching, workshops and his book: Networking Steps- Learn Networking Get Working, , he walks his students through the process of creating career objectives, preparing to network and conducting effective meetings. Phil can be found at http://www.networkingsteps.com or contacted directly at phil@networkingsteps.com. It’s just a proper picture to have a separate document which includes a subscribers list which happen to have allowed us confer with your prospective employers who you. Make certain that reference page matches the exact same style and format because your resume. You prefer to are the names of this references not to mention full contact details (including job title, employer, business address, email, cellular phone number). The better information allowing, the better that reference appears. Whats your opinion would look better? The quantity of References For those who have? Ideally you aspire to have 3 to 4 references for any employer. When searching for to the next stage position, this can require more references (around 7 to 10). You should definitely list your greatest references only. Its your decision chatting men and women who will speak highly individuals, and now have an improved position or education title. It can be generally better to list your strongest reference first. Your references should know you very well and be able to speak highly folks. You should not give your reference at a former boss or supervisor when you left on bad terms… a bad idea. Instead, pick someone the person you have worked closely with. If it’s a “real” job, and you are therefore unsure who to buy, you need to ask a professor. Always remember that professional references are preferred over references. Sometimes, with new employees seeking their first job, they will n’t have 4 professional references. Normally maybe ask a friends parents to communicate highly person. The chances are they likely would have the next step position and may give your references a credibility boost. One other essential rationality why you should never “burn any bridges”. Stranger things have happened when that supervisor, manager or co-worker that you could not might be around may be necessary sometimes. I did a supervisor of mine during a previous position which i weren’t able to stand, on the other hand bit my lip if you know his reference stomach in handy some day. That this did. Whenever you selected your references, this can be a good grasp get in touch with them and tell them that your particular call is likely to be coming from your potential employer. This manner your references expect the letter also it would not come to provide a surprise. Also, merely because nobody has contacted these questions week, does not always mean which the employer has ignored you and also got over them. So do not forget to remind your references that a telephone call may still be on its way. Unless you or employer is getting references in the beginning, it truly is generally best practice to wait until further notice before submitting them. Warm regards cards Requests Holiday cards A contact is not really personal when i will not recommend it. Marketing promotions campaigns to get on the phone or send an actual physical many thanks card arrived simple email or Facebook message. A little effort goes far.